I seriously can't believe it's November already. Who knew time could go so quickly? Before I know it, Thanksgiving will be here. Totally unbelievable! But what I'm really obsessing over this week -- and quite frankly, for awhile now -- is Twilight. I've been watching every preview and spoiler for months, and I just devoured the entire series in less than two weeks. I can't believe the movie comes out next week after all this waiting! In the meantime, I have of course been playing with some fabulous beauty products. Here's what I'm lusting after this week. 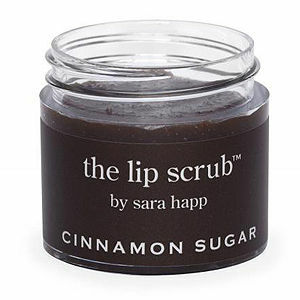 Sara Happ The Lip Scrub in Cinnamon Sugar ($24, similar flavors at beauty.com): Okay. When I was a kid, I went to the Ohio State Fair every year. Don't laugh or judge -- it was very cool to see the state's biggest pig and largest ear of corn. But my fave part was alwayas the end of the day, when my brother and I got to share a huge elephant ear sprinkled religiously with cinnamon sugar. So it comes as no surprise that this lip scrub is totally my new best friend, because it smells and tastes EXACTLY THE WAY THE ELEPHANT EARS DID. Yes, it really and truly does. And not only that, it makes my lips softer and smoother than they've been in weeks -- totally fab since the falling temperatures make them all dry and chapped! Klean Whipped Sugar Body Polish Where Angels Go Smooth-EZ ($13.50 at kleanbathandbody.com): Oh. Em. Gee. Yes, this deserves to be spelled out. Because not only does this scrub simultaneously lather and exfoliate, it smells absolutely divine. It's infused with the sweet scent of coconut that somehow refrains from being cloying or heavy -- but let me tell you, it makes showering and scrubbing pretty darn amazing! And as I'm totally in love with the moisturizing properties of shea butter, this is just a huge winner all around. 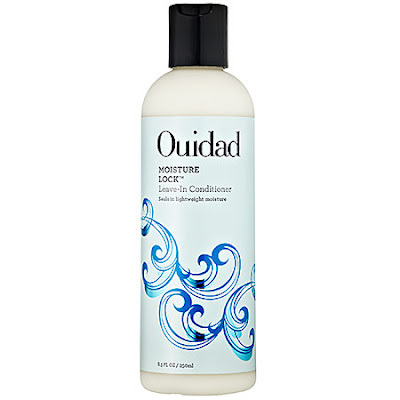 Ouidad Moisture Lock Leave-In Conditioner ($22 at sephora.com): Now, it takes a lot to pull me away from my Garnier Fructis Leave-In Conditioner. (Click here for proof.) But I've gotta say, this baby really does make my hair softer, smoother and sleeker with just a dime-sized dollop! And since it's formulated with Vitamin B, it moisturizes while it sleekens. I just might be in love.